Our experienced team works with leading house builders and developers, contractors, landscapers and private customers around the world and is proud to supply fine cast stonework to developments of all sizes and specification. Haddonstone’s standard product range offers architects and designers the opportunity to use architectural components to meet most design requirements. 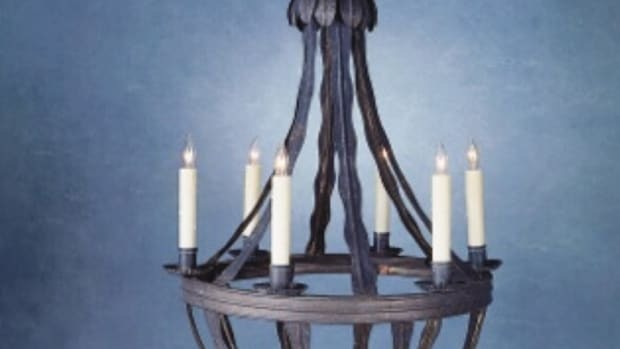 For bespoke styles and designs, Haddonstone’s team can produce custom-made traditional, classical and contemporary designs to order. 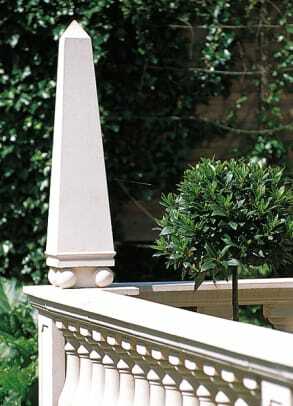 Cast stone is a versatile material that can be used for new build, stone restoration and garden or landscape projects. 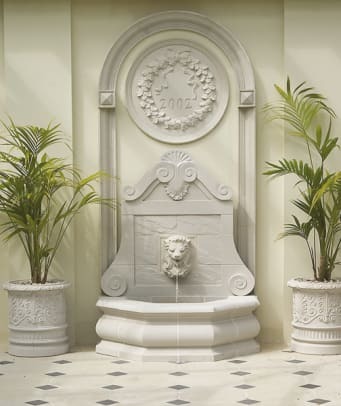 Our extensive product range includes both traditional and contemporary cast stone garden ornaments such as planters, statues, sundials, bird baths and stone garden furniture. We offer a wide range of external landscape and architectural products from door and window surrounds, to fountains, pool surrounds, gazebos, balustrades, pavers, steps and benches. 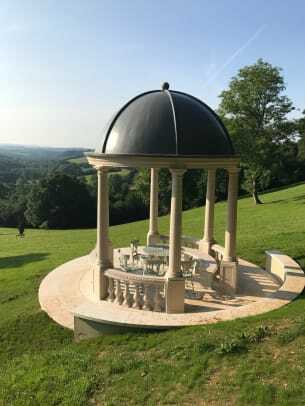 For larger landscape projects, Haddonstone produces garden buildings including orangeries, pavilions and temples. Haddonstone also manufactures interior designs including fireplace surrounds, hearths and mantels. Haddonstone is a unique form of cast limestone, with a surface texture similar to Portland stone. We produce three different material types suited to different applications; Haddontone® Semi-Dry Cast for modular pieces with a surface texture similar to carved limestone, Tecstone® Wet Cast for a smoother more durable finish which stays looking new for longer and is easier to clean, steel reinforcement, lifting sockets and fixings can be introduced if required for structural and larger pieces, TecLite® Glass Fiber Reinforced is similar to Wet Cast whilst able to be produced to a minimum thickness of 2 inch for retrospective fitting/cladding - ideal for renovation or where weight is a consideration. Our products mature and weather in a similar way to natural stone, there are three standard colors, we also offer a colour match service. Piece for piece, Haddonstone normally costs less than carved/quarried stone, whilst offering consistency of colour and finish - making it a high quality but cost-effective building material for all types of project. For all your design requirements, our experienced team can help. Haddonstone is a founder member of the United Kingdom Cast Stone Association (UKCSA), which defines strict levels of cast stone technical performance.